It’s coming up on storm season again! Now’s the time for generator maintenance so that you’re prepared for any emergency. Generators can definitely come in handy in a whole range of situations – from providing emergency power for the home, to providing power in remote areas, and even reducing electricity costs. You need to get on top of any issues your generator may be experiencing now, well before storm season. You definitely don’t want to be running around the shops looking for parts, oil, or filters after a big storm, when you need your generator most. For a range of handy tips and hints, read on! In order to ensure your unit provides quality power throughout its service life, you need to conduct regular maintenance. The best possible generator maintenance practice is following the maintenance schedule as outlined by the manufacturer. You also need to ensure that your generator is serviced by a licenced professional at least twice a year, preferably in autumn or early spring, before storm season starts in Brisbane. If you’re a small business owner or just someone who uses a generator for a back-up when the power fails, you need to be able to conduct regular simple maintenance checks on your generator unit. We have a checklist for you to follow to ensure that your generator is in tip top condition. Maintain the general cleanliness of the generator, and the surrounding area. In an enclosed unit, you’ll want to make sure it stays rodent-free, and that any dirt and leaves the generator might have sucked in are thoroughly cleaned out. You’ll need to check the oil level when the unit is turned off. If the generator has been running, you should wait 10 minutes and only then check the oil level. This allows the oil to drain back into the sump. You’ll need to ensure that the oil level is maintained to as close to the full mark as possible without overfilling it. You need to check that there is sufficient coolant by checking the level in the catch or overflow tank. For diesel fuelled units, you must check the fuel level and the fuel and water separators as necessary. For gaseous units, inspect the fuel supply piping for leaks or obvious damage. You need to ensure that there are no loose clamps and wire connections, and that there isn’t any corrosion or damage to terminals or wiring. If you come across something you’re not sure of, seek professional help. It’s always better to be safe than sorry. Inspect the batteries for cleanliness and signs of corrosion. Finally, check to ensure the battery charger is operating correctly. It’s also a good idea to change the battery every 2 or 3 years. 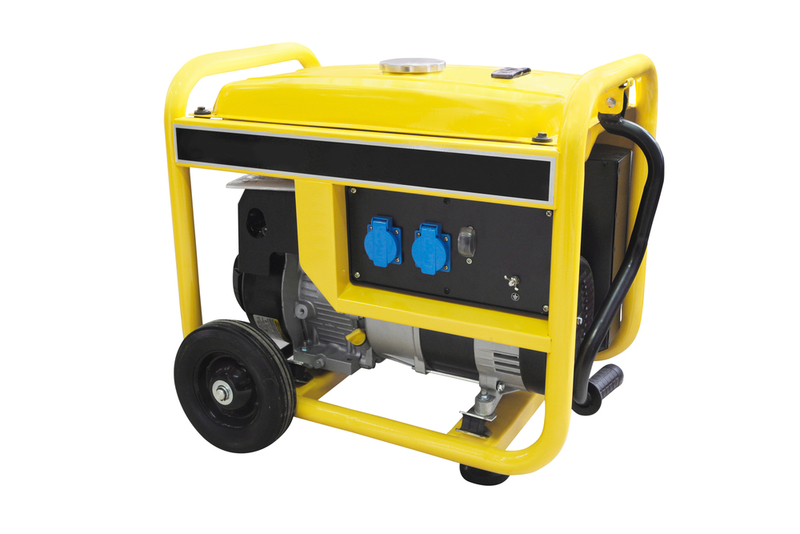 There’s a few handy things you need to remember when owning and using a generator. They will make life so much easier for you! Stock up on oil and filters. Most new generators need an oil change after the first 25 hours of use. You then have to discard the old oil and refill it with new stuff every 50-60 hours. You need to make sure that you have enough filters to last you at least several days. Wait for the generator to cool before you fill it with fuel. Generator fuel tanks are always on top of the engine, so that gravity helps to feed the fuel into the carburettor. You definitely do not want to spill fuel on a hot engine – that could potentially turn into a disaster. Do not use old fuel. Old or stale fuel is the number one cause of starting problems with generators. Manufacturers have started adding fuel stabilisers to fuel to minimise its breakdown, as well as varnish and gum build-up. There is however no guarantee against problems. You need to empty the fuel tank and carburettor when you’re through storm season and ensure only fresh fuel is used in your generator. Exercise your generator. You need to start your generator up every 3 months at the very least. This is recommended by manufacturers. You should let it run for about 20 minutes to half an hour to recharge the battery for the electric charger. Storm season often hits right at the time of year when we’re busy dealing with end of year work schedules, school holidays and the festive season. It’s only logical that it may not be at the top of your to-do list, but it really does pay to be prepared. There’s nothing worse that risking your comfort and safety when power loss can easily be avoided by regularly inspecting your generator. Generator maintenance should simply become a habit. If you abide by these simple steps, you should have a fully functioning generator, ready and able to get you through whatever the weather has to throw at you! If you need advice about generator maintenance, call K Electrical on 07 4152 2177 and make sure you’re prepared for summer!